A showstopping ring, featuring a rich red ruby centrepiece surrounded by a halo of rubies and diamonds for a feeling of luxury and sparkle. Crafted in elegant 9ct gold for a classic feel. 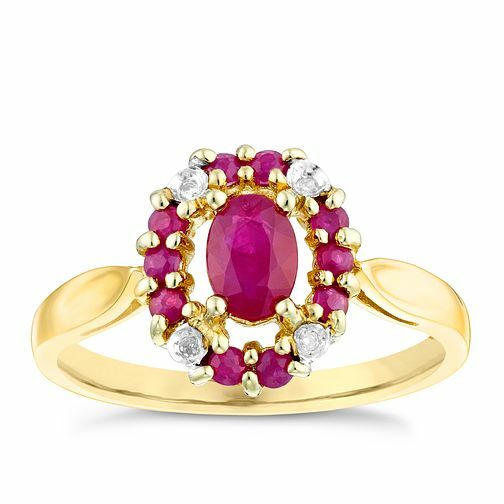 9ct Gold Ruby & Diamond Oval Halo Ring is rated 5.0 out of 5 by 2.